As you know, I’m covered in tattoos. My love for ink on skin is indescribable. Addictive, pleasurable, beautiful are just a few words that I say to my friends when they ask me why. Sometimes, I don’t even know why, sometimes I shrug and just say “It makes me happy!” haha! My most recent tattoo has healed after a week and I absolutely loveeeeee it. 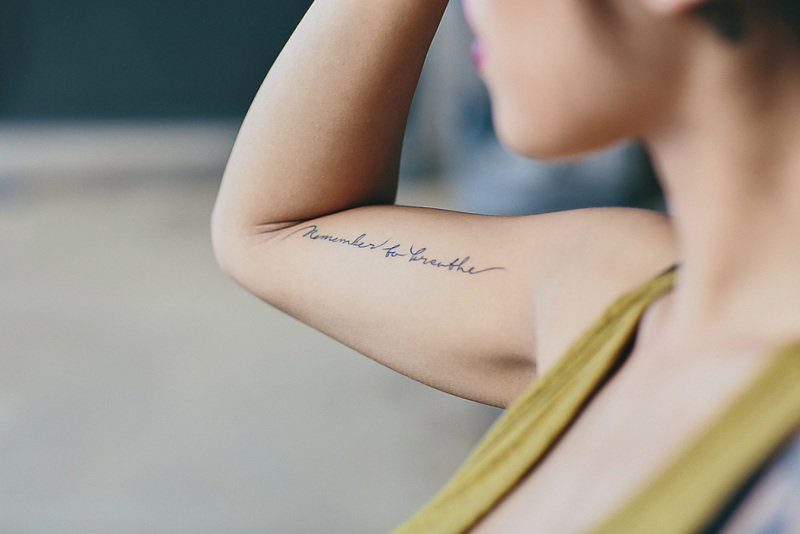 “Remember to breathe” - the meaning as to why I got it? Well sometimes I forget to look after myself, thinking about others and putting their needs over mine. So now I remind myself to dedicate a day that’s just for me, even if it’s few hours to pamper myself. Below are few images in my most comfortable yet funky pants walking about at one of Pyrmont’s wharfs. White pants are a summer must, and these were bought on SALE, (yes sale) at a pop up shop in Paddington, which sell bits and pieces from designer brands all over town. The Elizabeth and James pants were one of the first items I picked up! 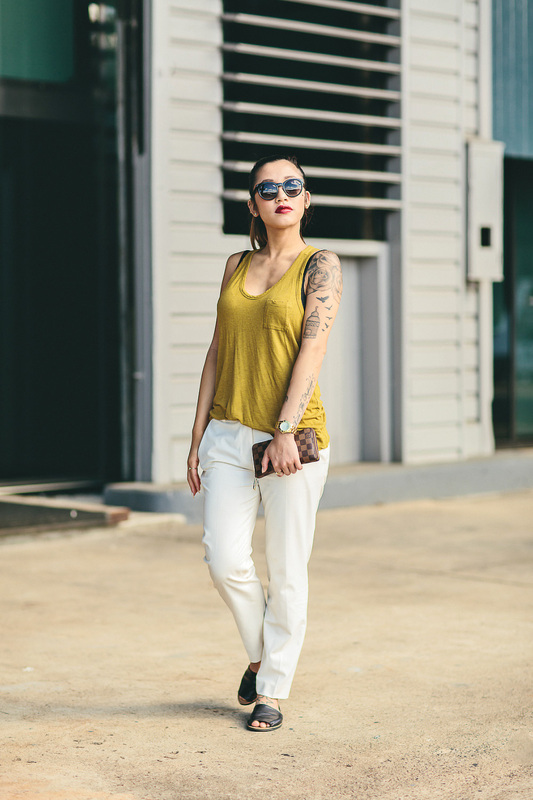 I decided to team the pants with a basic singlet by T by Alexander Wang, accessorized with the Zippy wallet by Louis Vuitton and Menorcan leather sandals by TopShop.